This MP3 file is from the album Totally prepared : real-time compositions for prepared piano / Roger Frampton. Duration: 10 mins, 43 sec. Recorded/performed at: Studio C, 2MBS-FM, Sydney, on Jun 89. 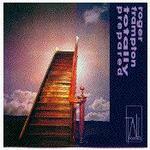 CD: Totally prepared : real-time compositions for prepared piano / Roger Frampton.